The Hy VIZ Waterproof Riding Jacket has breathable fabric with YKK zip fastening to the front and waterproof fabric overlay. 2 zip front pockets. 2 side zips for comfort whilst riding and an internal pocket. Elegant cut for a flattering fit. Fluorescent hi vis with silver reflective tape for style and safety, front and back. All year round visibility. Machine washable at 40ºC. The zip on the jacket is a 2 way zipper. CE marked. Certified to EN1150. Measurements: A - shoulder seam to end of sleeve on uppermost edge, B - Base of neck to bottom of back. C - Armpit to armpit when jacket laid flat. 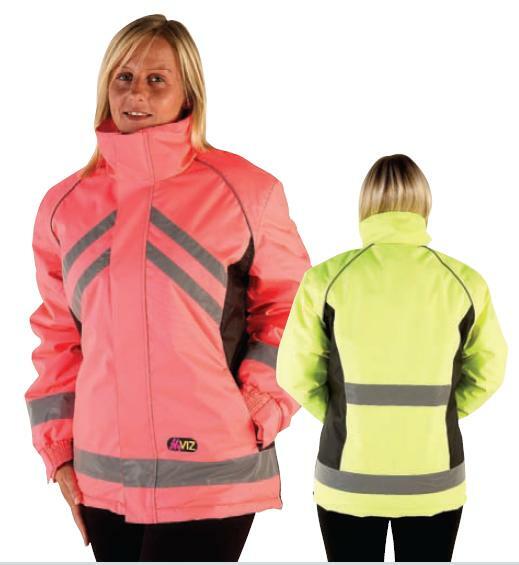 There are currently no questions for HyVIZ Reflective Waterproof Riding Jacket - be the first to ask one!